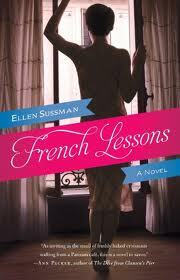 French Lessons by Ellen Sussman - A bit too late for Paris in July, but this sounds like a fun read for me! Eleven Scandals to Start to Win a Duke's Heart by Sarah Maclean - the third book in the numbers trilogy! The Weird Sisters by Eleanor Brown - there was a lot of positive buzz around this book when it first came out a few months ago. I requested it as soon as I saw it on the catalogue, but it has taken a while to come in. Out of the Deep I Cry by Julia Spencer-Fleming - the next book in the Clair Fergusson/Russ Van Alstyne mysteries. To Sin with a Stranger by Kathryn Caskie - I read an excerpt of this somewhere and thought it sounded like a fun read. I haven't read this author before. Haha. I'm also in queue for The Weird Sisters! This seems to happen an awful lot. I am going to be reading French Lessons as well, and The Weird Sisters was just such a fabulous book! I loved it, and loved the relationships between the sisters. I hope that you enjoy it! I have Weird Sisters out from the library, too. I never seem able to get around to it, though. 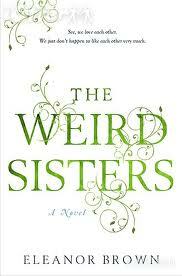 The Weird Sisters is on my tbr list. Nothing for me this week. Trying to catch up on my old loot first. I loved French Lessons and Weird Sisters. Enjoy your library loot! I love the Julia Spencer-Fleming books. I'm listening to one now. Enjoy! Ah, I've seen/heard/read REALLY good things about Weird Sisters. Enjoy your loot!